What is the EU's revised Payment Services Directive (PSD2) and its impact? Does a data breach really affect your firm’s reputation? Data breaches can be costly, embarrassing and result in job losses and regulatory fines. But do they really affect companies’ long-term reputations? The long-held view is that breached companies are cast aside by consumers, investors and shareholders. A breach isn’t just a temporary glitch – it’s a mistake, a faux pas, which you can’t just shake off. This warning that has been used by information security professionals over the course of the last five years and for good reason; nothing gets a CEO or CFO’s attention on security matters more than "this is losing us money". However, on closer inspection, it could be argued that this reputation argument is a falsehood. Over the course of the last 18 months, we’ve seen some of the biggest, most widespread, data breaches in the history of the Internet. Target was compromised via its third-party air conditioning supplier in 2013 (40 million credit card records were stolen); Sony Pictures Entertainment was allegedly hacked by a nation-state, resulting in the release of one unreleased film, the postponement of another, and terabytes of sensitive data posted on Pastebin. Then there’s been Anthem, JP Morgan, OPM, Sears and Talk Talk to name just a few other breaches affecting millions of people. Breaches are now becoming a daily occurrence, but the companies themselves appear unmoved. One thing is clear; a data breach is a PR and financial disaster. Companies often spot the intrusion too late, and respond inadequately, resulting in falling (temporary) sales and journalist outrage. Customers, for one, will often vote with their feet. UK-based fraud prevention company Semafone last year found that the overwhelming majority of people would not do business with a company that had been breached, especially if it had failed to protect its customers’ card data. In the survey, conducted by OnePoll, 86.55 percent of 2,000 respondents stated that they were “not at all likely” or “not very likely” to do business with an organization that had suffered a data breach involving credit or debit card details. The numbers were slightly lower if home and email addresses and telephone numbers had been lost. “These figures serve to underline what we should already know – that the reputational damage suffered by companies who fail to protect personal data can translate directly into a loss of business,” said Tim Critchley, CEO of Semafone. It’s true to say that customer loyalty damage is done in the event of a breach, and that sales do take a nose-dive. Target’s sales fell by 46 percent year-on-year in the fourth quarter of 2013 to $520 million (or 81 cents a share), while eBay (breached mid 2014) admitted declining user activity impacted its quarterly net revenue. There are other financial costs to bear, including additional security (pen testers, consultants, security vendors, PRs and lawyers), litigation and fines by data protection authorities. This said, it could be argued that big, established companies are confident they can ride on past the fines and fees, and keep hold of their customers. UK’s TalkTalk even locked some customers into contracts – albeit with improved packages - on that basis. Target’s breach, culminating in the loss of over 100 million customer records, saw the retailer’s stock drop 10 percent afterwards. But by February the retailer had experienced its highest percentage stock price regain in five years. There are other notable examples; Sony Pictures Entertainment saw its stock price keep growing following the announcement of its breach in 2014, while stock prices at JP Morgan Chase were stable following the breach and then rose shortly after. EBay, closing at $51.88 after breach on 21 March, grew to $59.74 exactly a year later. Reputational damage sees a differing of opinion, though. InfoSec folk largely agree that breaches impact on the bottom line, but that – managed and responded to adequately – it can become business as usual (BAU). Stock prices recover, and stake holders are appeased. Data protection authorities can be held off at arm’s length. But ask them if there’s a longer, more intangible brand damage done and it’s a hard one to call. Earlier this year, Ponemon Institute’s "The Aftermath of a Mega Data Breach: Consumer Sentiment," revealed that data breaches was up there with poor customer service and environmental disasters for impacting brand reputation. Elsewhere and the Forbes Insights report, ‘Fallout: The Reputational Impact of IT Risk’, indicated that 46 percent of organizations had suffered damage to their reputations and brand value as a result of a breach. Another 19 percent of organizations suffered reputational and brand damage as a result of a third-party security breach or IT system failure. Ed Wallace, director of advanced threats at MWR InfoSecurity, agreed with the latter point, but suggested that breaches are par for the course for companies. Frankland believes companies are waking up, but this requires good CISO-CEO communication. “Organizations must protect their corporate reputation as an increasing importance is being placed on business ethics and governance. Furthermore, consumers, investors, partners, employees and shareholders are holding organizations accountable for their actions. Corporate reputation matters. “A favorable corporate reputation is a valuable, yet intangible asset. It plays a vital role in attracting the best talent, suppliers and investment.” The best talent will take jobs, suppliers will reduce contractual risks by working with partners they trust, and financial analysts include reputation metrics as part of investment criteria. The experts were in agreement that this must be made known to the CEO, with Frankland in particular stressing the responsibilities are on the CISO’s shoulders. “What C-levels want from a CISO is a risk metric and a value in terms of cost. They want to understand exactly what their liability will be if such an event were to take place. CISOs need to be able to give C-level execs a definitive answer on this, yet often it’s hard as asset registers are missing, digital footprints are unknown, risk models are complex and claim forms are dubious. It’s clear then that breaches do result in damaged trust, to a degree brand reputation, and bottom line. 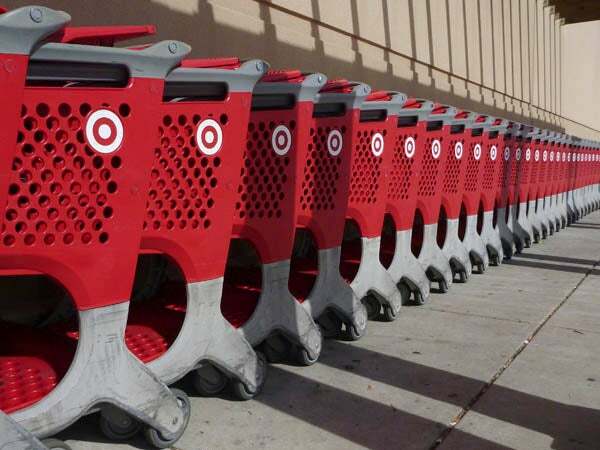 Target and JP Morgan pledged to spend additional $100 million and $500 million on security post-breach, while Target also had to pay back card issuers, and lost $236 million in breach-related costs ($90 million of which was offset by insurance). The experts believe that this cost – and brand damage – can be significantly reduced if a breach is responded to properly. Wallace says response is vital, especially with new laws like EU’s GDPR pushing companies to report breaches – or face fines. Other experts, including lawyers, call for internal communications to be joined between management, PR and regulatory and litigation experts when dealing with breaches.